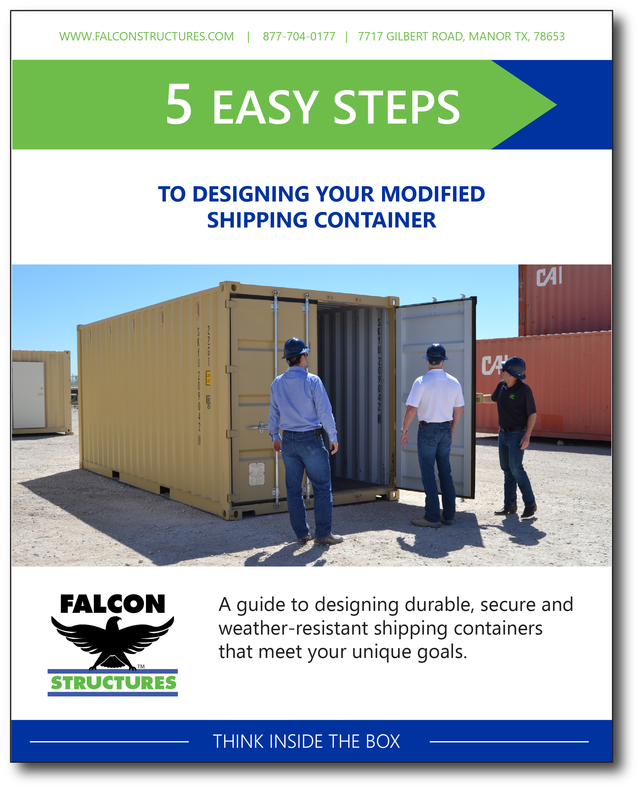 This new and improved publication includes step-by-step instructions to simplify the container design process. We also include links to helpful resources and worksheets throughout the guide. Four comprehensive lists of questions to consider based on application type (storage, workspace, living space, and equipment enclosures). Insight on how to use Falcon’s catalog of standard products to inspire and expedite the design process. An overview of popular container modification options to consider. Tips on how to formulate a basic design plan to meet your goals. To download your guide, please fill out the handy form. If you have any questions today or at any step during the design process, please contact us at 877-704-0177 or via email at sales@falconstructures.com.